Presentation of conferences, special seminars, CISSP and CAP review courses, networking mixers, and the chapter meetings. Chapter members may attend chapter events for no additional charge. Communication of chapter news and activities through periodic e-mails, the chapter website, and the (ISC)2 Austin Chapter Group on LinkedIn. Arrangement of special training offers for chapter members, which are listed on the chapter’s event calendar. Providing online resources, such as presentations from chapter events and job announcements. Receive discounts on (ISC)2 official course, conference and book prices. Opportunities for non-profit board membership and other leadership opportunities. 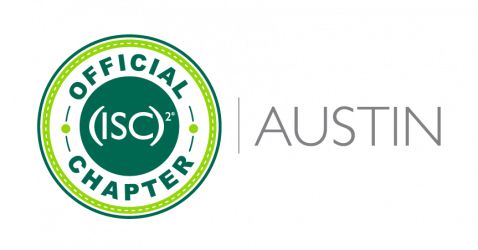 Please note that membership requires your acceptance of the (ISC)² Code of Ethics as well as the (ISC)² Austin Chapter By-Laws. To apply for chapter membership, please complete the Chapter Membership Application Form for review by our membership coordinator. Membership in (ISC)² is separate from and unrelated to Chapter membership.